"Tori embodies what an integral Real Estate Broker is all about. She is trustworthy, diligent and pragmatic. All of her Clients have a positive experience which is why her business is growing by leaps and bounds. I cannot say enough about how great Tori is to work with. " -Larry S.
"Working with Tori was excellent! My wife and I were first-time home buyers and she was incredibly helpful at walking us through the process. She came prepared with comps, recommendations, and referrals for a great team. Tori was super communicative throughout our negotiations and closing which made for a super smooth home-buying experience - we cannot recommend her more!" -Miller S.
"My husband and I just moved to Chicago and did not know the area at all. Tori helped us fine an amazing apartment and rent it before the open house even happened! Knowing the area better now, I can't get over what an amazing find it was. I absolutely love it. She was so easy and fun to work with! I recommend her to anyone looking for a home!" -Anna S.
"Tori's positive energy made this process easy, and rubbed off on me to ease the anxiety of finding a new home. We are beyond grateful and I couldn’t be more excited for this journey we are going to embark on, and she was a part of it." 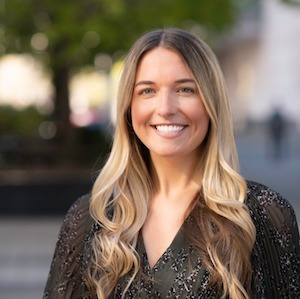 -Mary R.
Always passionate about real estate and home design, Tori decided to take the plunge into real estate two years ago after teaching in New York City and Chicago for seven years. She feels privileged to combine this passion and her love of working with people to serve her community. Tori grew up in Boston, MA, spent time living in NYC and moved to Chicago five years ago. She has fallen in love with this robust and dynamic city and cannot imagine living anywhere else. Tori studied Psychology and Studio Art at the University of Vermont and has a Masters Degree in Education from Lesley University in Cambridge, MA. Her background in education has equipped Tori with amazing organization, communication and leadership skills that translate into her work as an agent. As an agent, she is constantly doing her homework, analyzing market trends, obsessing over comps, to best inform and serve her clients. Tori is proud of her streamlined and straight forward process to guide her clients through any real estate transaction. Tori resides in Logan Square with her husband and their German Shepard, Mason. In her free time she loves exploring Chicago neighborhoods and food scene, hiking, volunteering at community schools and spending time at her beach house in Cape Cod with her family. She is thrilled to bring her energy and enthusiasm to the Mitrick Group at Compass this year.